On a recent expedition to the El Triunfo Biosphere Reserve, one of the region’s premier protected areas, located just over the border in Chiapas, Mexico, I was walking up a remote river valley when I saw a slight movement on the path. As I approached I made out the form of a large serpent lying, perhaps sunning, squarely in my way. 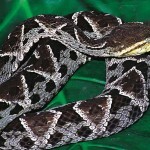 It was a large, six-foot-long fer-de-lance … the most feared and reviled snake in Central America. Known locally as the yellow beard (barba amarilla) because of its yellowish chin, this snake produces venom that is most assuredly deadly. This big one was not moving. She boldly stood her ground, forked tongue darting in and out, as if to defiantly challenge me to come closer. I did not! I stood back 10 yards and calmly took some photographs while maintaining a “high-alert” status in case the big viper made any move. The dense vegetation on both sides of the path made detouring around her impossible. I stood there for maybe 10 minutes, but she held her position. Finally, I gave up. It was a jungle standoff, and I had conceded defeat. 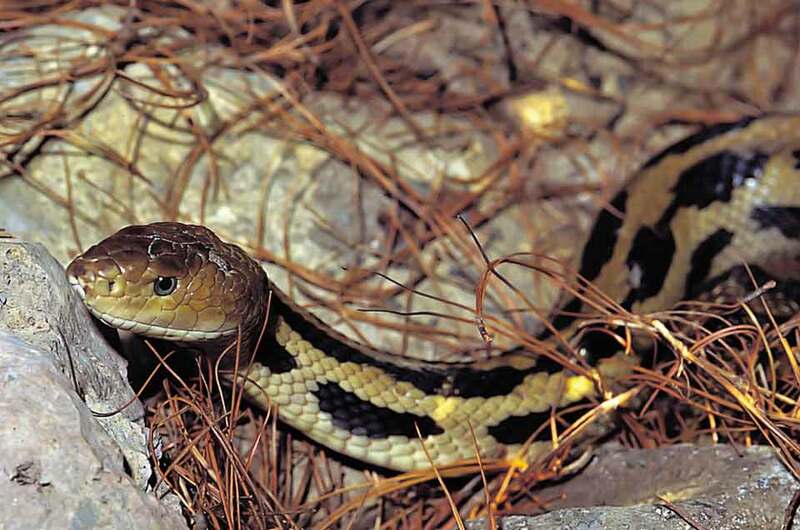 Of the more than 125 species of snakes living in Central America, only a dozen or so could be considered dangerous to humans. And since most of these vipers are nocturnal hunters, it is very unlikely that you will ever encounter one. 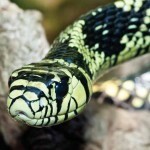 Nevertheless, most people who are not jungle-savvy worry too much about the danger of snakes. As we journey through the jungle it is always a good idea to watch the path ahead to see what is on it, never to place your hands or feet in places where you cannot see what is there, and to treat any wild animal you encounter with respect and due care. This is especially true of snakes. Most every creature of the forest will flee from approaching humans because, in general, humans are not very nice to them. Your chances of having a problem with a snake are 1,000 times less likely than being involved in collision on the highway. 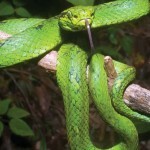 There are two families of venomous snakes in Central America that deserve our special respect. Coral snakes have the most potent venom and are related to Old World mambas and cobras. The good news is that they are normally very docile. Most problems occur when a child, fascinated by the snake’s beautiful colors, tries to pick it up. If you threaten a coral snake it will rear up and sway back and forth in cobra-like fashion. Coral snakes do not have fangs. They have to chew on you for a while to get the venom into your bloodstream. In our region there are numerous, totally harmless, false coral snakes. 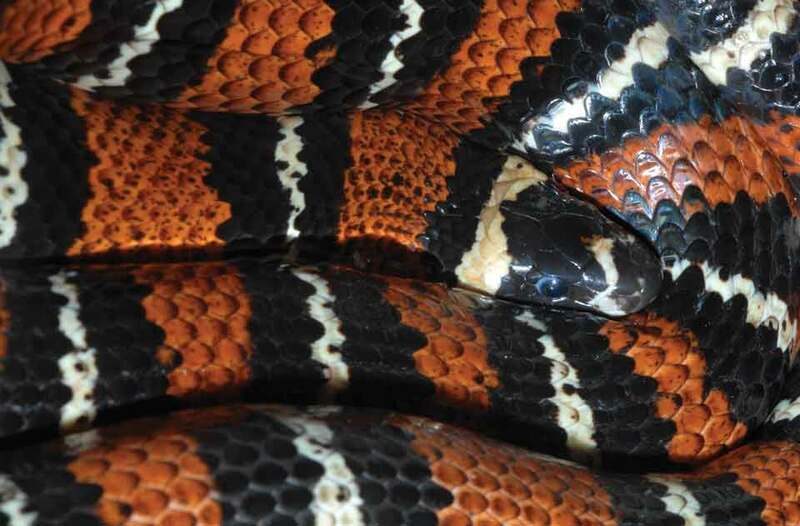 Their coloration is similar but you can tell the difference if you remember the following, well-known rhyme: “red and black, friend of Jack … red and yellow, kill the fellow.” This is referring to the arrangement of the colored bands on the snakes. 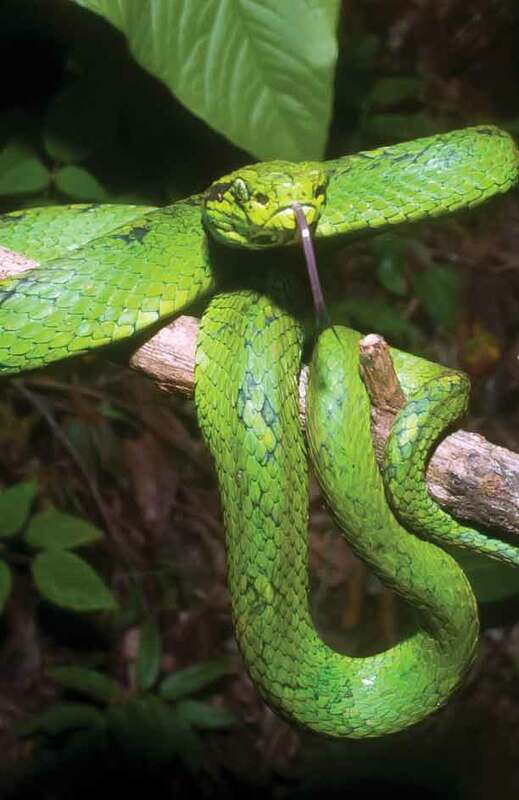 The other families of poisonous snakes are the pit vipers, which include the yellow beard as well as rattlesnakes and the beautiful eyelash vipers. The “pit” refers to a special heat-detecting organ located between the eye and the nostril. These infrared detectors allow the vipers to “see” at night, even in total darkness, as they pursue their quarry. I have encountered many, many vipers along paths in Central America and almost always they are non-aggressive and pose no threat to humans. Bien mansos… as we say … “very tame.” They most often will get out of your way long before you ever see them. But sometimes not, and I have often appreciated the fact that my body is always faster than my brain. And so, before I even know what is happening, I jump or sidestep just in time to avoid stepping on a rattlesnake or other dust-bellied brother. But then there is yellow beard. This is a snake with an attitude. 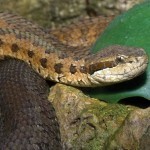 I have heard many stories to simply discount the fer-de-lance’s aggressive reputation as myth. If you ever come upon one, keep your distance. A friend of mine related one of his encounters. Jerry was taking it easy at Ixcacel Beach when he noticed something odd occurring on the other side of the campground. He went over to investigate and saw some birds dive-bombing something on the ground. As he got closer he saw that it was a large snake, a yellow beard in fact. Suddenly, the irritated snake, upon seeing Jerry, took off after him. Jerry, terrified, ran at top speed in the opposite direction. After perhaps 50 yards Jerry looked behind and was astonished to see the snake still in pursuit. 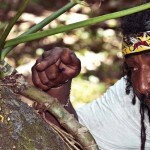 Jerry kept running and finally the serpent veered off into the bush. Jerry veered off to the local bar where he began happy hour early! 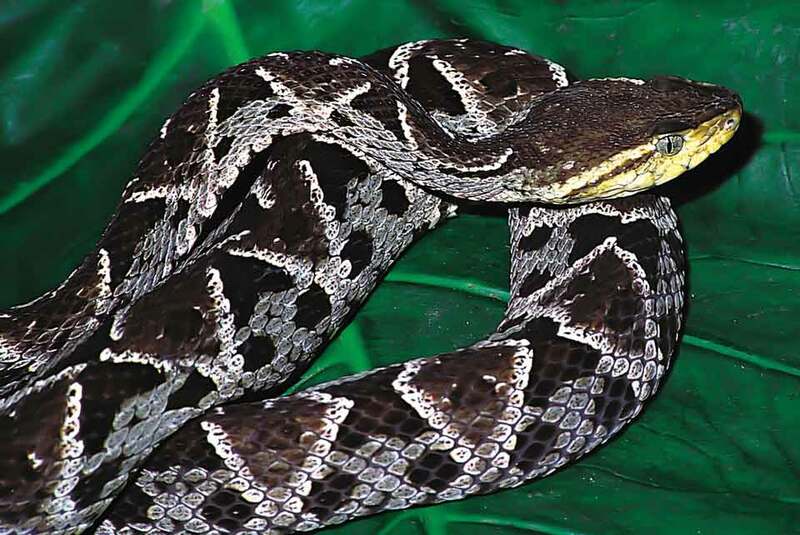 Here are a few facts about one of the most beautiful group of pit vipers, which are the lovely eyelash vipers. Coming dressed in a wide variety of colors and patterns, from lemon yellow, to lime green, to mottled gray and pink, these medium-sized (normally less than a meter in length) vipers are among my favorites. They are very “mansos” and I am always delighted when I run across one, although, being arboreal, these are the ones that you have to take special care not to inadvertently put your hand on. Naturally, they will bite to defend themselves. 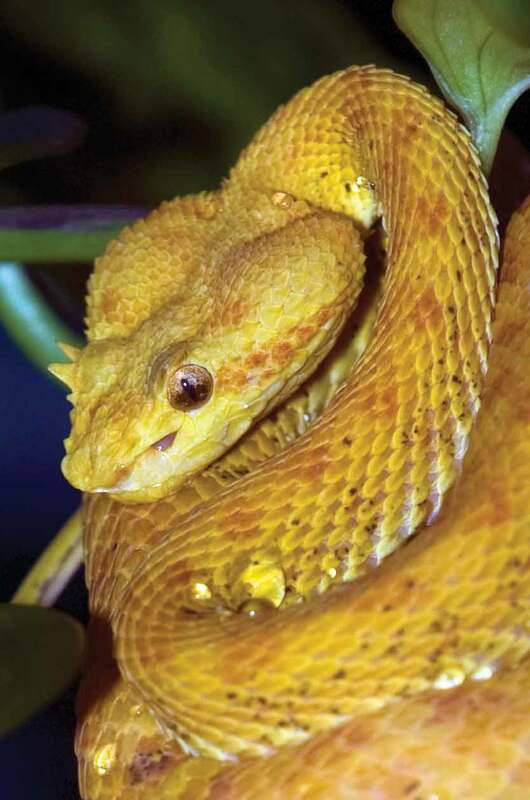 The eyelash viper will lie immobile for hours upon a leaf or vine waiting for some prey to wander into its airspace at which time a quick lunging strike may land a dragonfly, beetle or even a hummingbird. 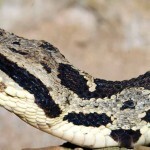 Some years ago I came upon a large pink and grey viper hanging from a branch. I went to get my camera but by the time I got back, she was gone. The next day, on the same trail, I was amazed that the viper was back in the exact same position that I had found her a day earlier. This was obviously one of her favored hangouts. She probably got scared by my presence and only came back in the night. 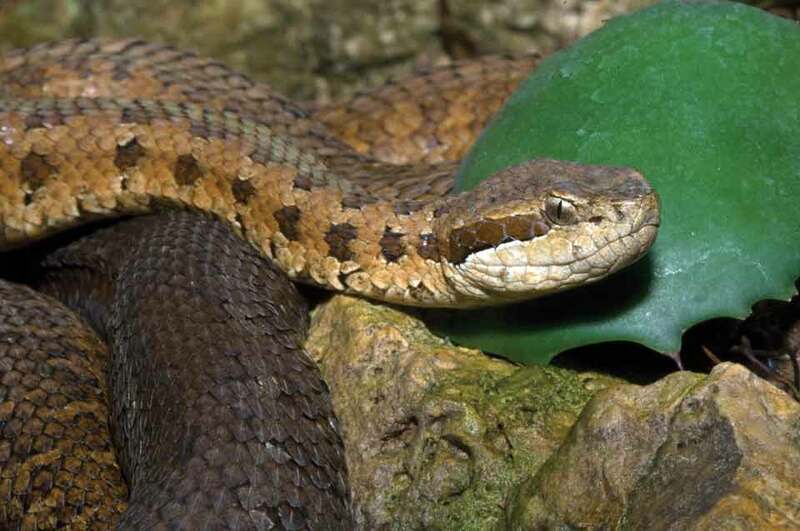 Sadly, in Guatemala, a snake found is usually a snake dead. It is a challenge to convince people that snakes are valuable citizens of the jungle and deserve to be appreciated and respected. I encourage everyone to get out into nature—you will find that by associating your mind with the patterns of nature there is a healing and calming effect upon one’s soul. 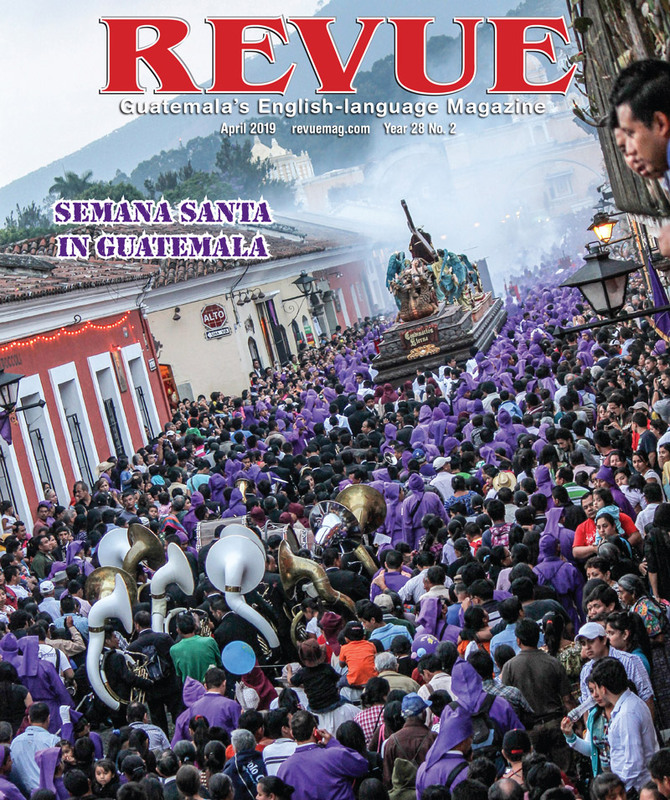 The excitement of encountering a wild jaguar, quetzal or a yellow beard can never be experienced in a zoo or theme park. 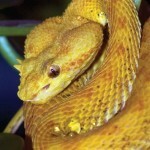 Golden eyelash viper. 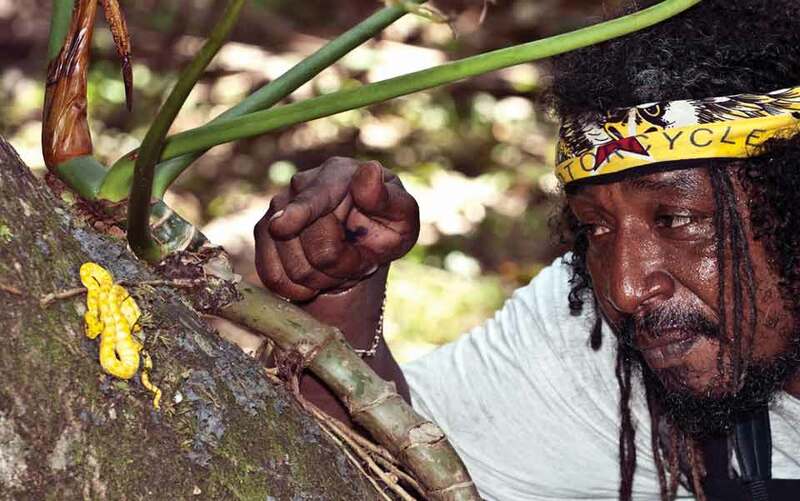 Belizean jungle guide Jimmi Palacios points to a small viper. The venom even of the very small ones is very dangerous. Yellow blotched palm pit viper. This species is classified as Vulnerable on the IUCN Red List of Threatened Species and is therefore considered to be facing a high risk of extinction in the wild. 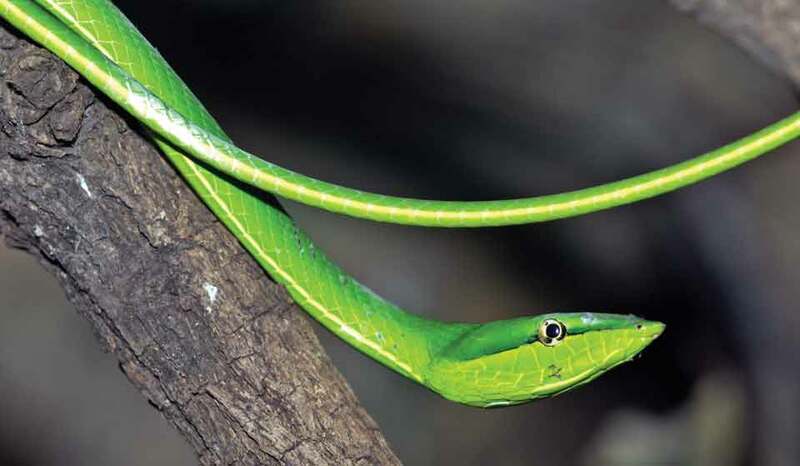 Green vine snake. 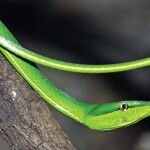 Also known as the flatbread snake, it is very slender, with a long delicate tail, and grows to a length of 59-79 inches. Jumping viper. 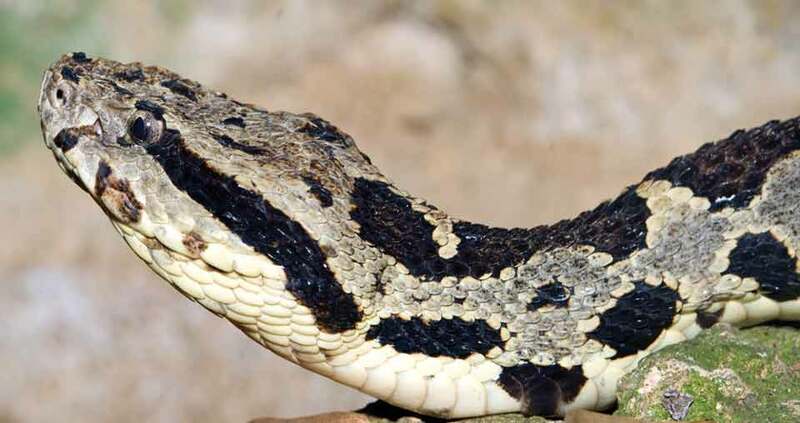 Known by locals as “ el terrible” the jumping viper, upon being disturbed, jumps up to a meter in the air and as it jumps, it bites! 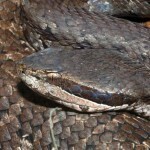 Fer-de-lance. 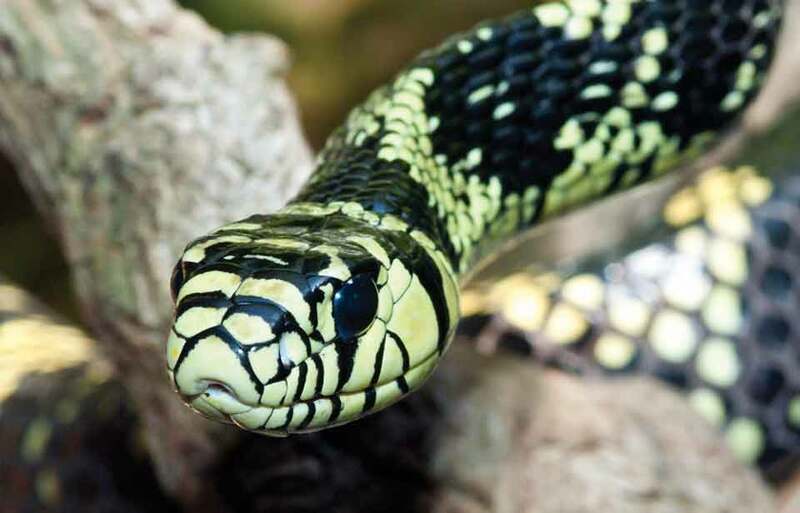 Known locally as the yellow beard because of its yellowish chin, this snake produces venom that is most assuredly deadly. 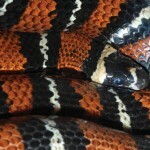 False coral snake. 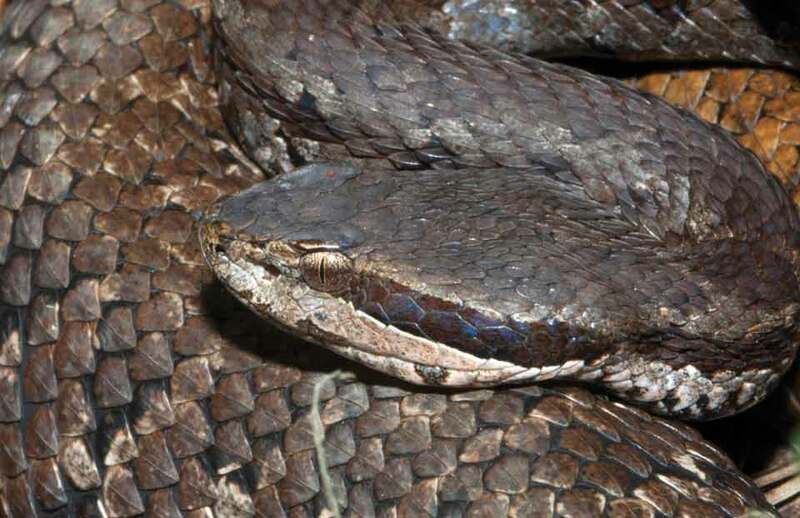 It is considered to be the snake that most resembles the original ancestral snake form, note the lizardlike skull. 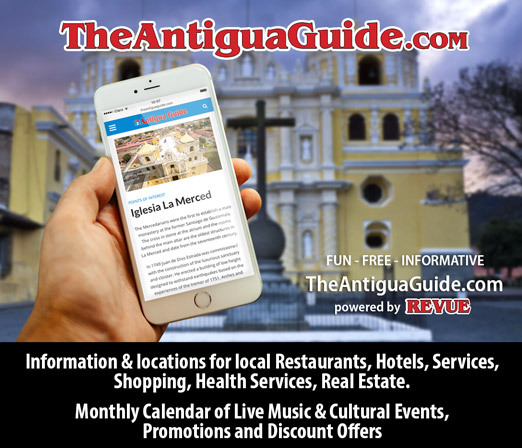 Deep within the El Triunfo Biosphere Reserve. 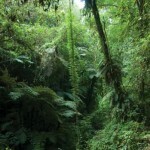 The forest’s canopy is very dense, and most of the year it is covered by a thick mist. Gigantic ferns surround big, evergreen trees covered by lichens, orchids and bromeliads resembling pendant gardens. 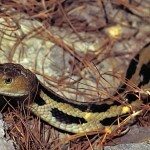 The cincuate is a large snake that lives in the cool highlands and primarily hunts rats. It is widely accused of sneaking into villages at night and sucking milk from both cows and women!